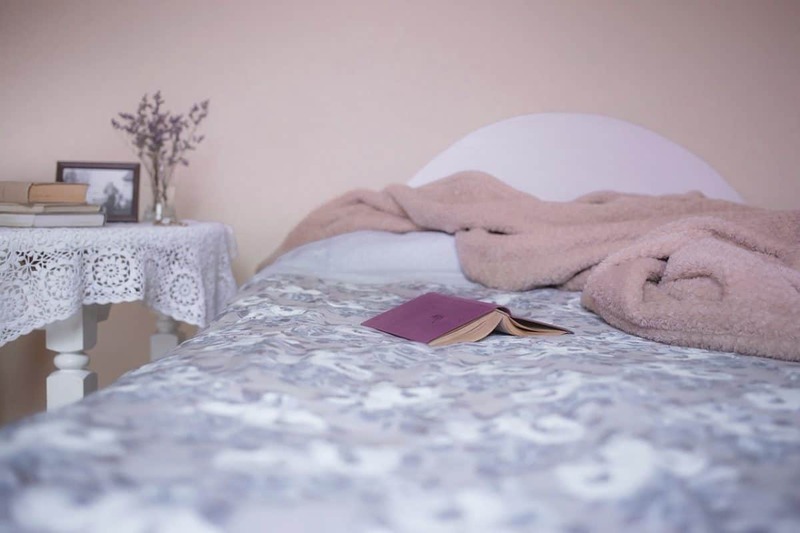 Making the home safer for seniors and those with disabilities, part 2, covers bedroom design that overcomes common accessibility issues. Since falls impact over one-third of seniors widely, attention to key details such as flooring, bed-height, and lighting, is integral to preserving health and well-being. If you missed part one, you can read it here. Moving through bedroom design that overcomes common accessibility issues, brings attention to the bedroom, part 2 in making the home safer for seniors and those with disabilities, a five-part series. The critical difference in a fall risk versus a safe haven for sleep could lie in mobility devices; from grab-bars to stair-lifts, making changes in the bedroom can contribute to safety and independence for those living there. It is estimated that around one-third of all people over the age of 65 falls each year. Of this demographic, around two-thirds will take another spill within six months. Shockingly, some 9500 seniors die from injuries and complications related to a fall annually. This makes fall prevention a valid and necessary segment of overall well-being among the aging population in this country. Fall prevention is important as you age, or if you are caring for a senior, but what does that entail? First, preserve autonomy and independence with some basic mobility aids that can foster self-sufficiency while lowering the risk of a tumble, trip, or fall in your bedroom. Seniors living in multi-level homes may lose access to their upper or lower stories when they sustain an injury, disability, or have mobility issues as they age. Ensure full access to the home environment with a stair-lift. Stair-lifts are available for both inside and outside your home, providing access to upstairs-bedrooms, outdoor patios, and lower-level basements. Only buy new lifts from distributors that offer both hands-on installation and service after the sale. Seniors and consumers risk a fall each time they get out of bed in the morning; this can be prevented by working with the bed’s height and ceiling lifts. Ceiling lifts are especially useful to those that live with physical mobilities that compromise autonomy with daily life. This includes ADLs, activities of daily living, such as eating, bathing, and dressing. Ceiling lifts allow both the senior and the caregiver the assistance needed to make these tasks feasible without fear of injury or a fall. Ceiling lifts are typically installed over the bed, providing support to help the user incline and rise, as needed. Another option to improve accessibility in the bedroom may lie with freestanding lifts, which allow movement to make many tasks easier. These can be utilized throughout the home – not just the bedroom – to provide a bit of support and assistance to the consumer as they get up, bathe, sit at the table, or recline at night. A simple way to help reduce falls and subsequent injuries in the bedroom is to install grab-bars, similar to what you may commonly see in the bath. These can be positioned and installed near the bed, by the dresser or vanity, and on the sides of the closet to enable the user a way to support and assist as they get on about their day. A grab-bar can help the senior catch themselves, preventing a fall and potential injury every time it is used. Wear shoes around the house. Seniors, in particular, should make sure that their footwear fits snugly, without loose laces or other features that could cause a nasty fall. Keep flooring maintained and intact. Remove and replace rugs, tiles, or flooring with tears, cracks, or damage that could trip someone. Get rid of any clutter, boxes, or items that could impede the path of a senior through the home. This is a great time and reason to purge unneeded belongings around the house. Encourage the senior to wear clothes that fit, as loose clothing can sometimes cause a fall. Also, watch for accessories, such as scarves or jewelry, that present additional risks. Put bells on the collars of pets, such as dogs or cats, so that the senior hears them coming and doesn’t incidentally trip, injuring either themselves, their beloved animal, or both. Make today the day to call for your mobility assessment. The professionals at Pacific Mobility are standing-by to evaluate, suggest, and service your mobility needs. From lifts to grab-bars, consider the vast difference that accessibility can make in everyday living. Before you purchase or lease mobility aids, talk to an expert. Buying from a non-licensed professional could impact the installation, performance, and overall satisfaction of your equipment or device. Maintain safety in your bedroom – and throughout the home – to prevent falls, preserve wellness, and prolong life.